With the Silly Season well and truly upon us, there are so many options for a festive feast that it can sometimes leave us spoilt for choice. When it comes to Christmas fare, we want all the classics – like turkey and cranberry sauce – but with a contemporary twist to keep us interested. A tall order indeed. Enter Cova Hong Kong: the Milanese patisserie and restaurant steeped in Italian cuisine and culture, established here since 1998. I was well aware of Cova's renowned reputation for producing classic Italian delicacies, so I was intrigued to discover the tantalising treats on offer this December. 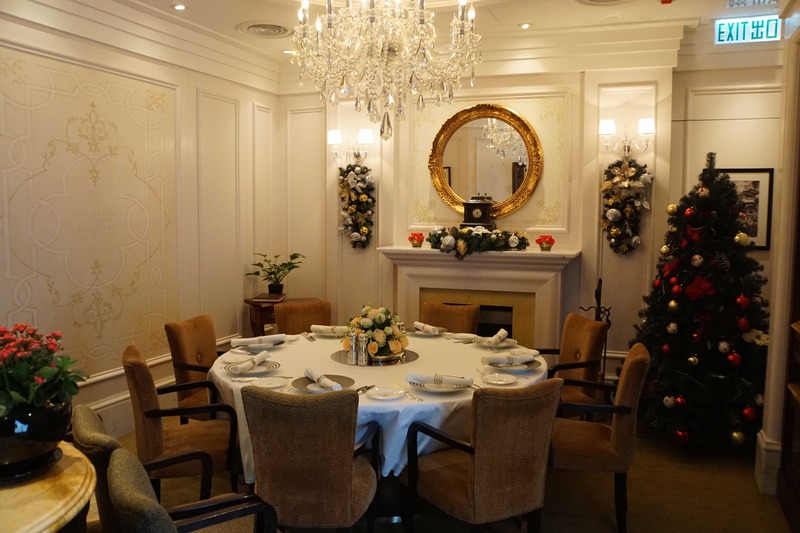 First off: Cova in Lee Garden One, Causeway Bay, sets the seasonal scene like no other venue. Don't be deceived by the outward appearance of the coffee shop and patisserie; there's so much more to this place than sinfully delicious cakes and coffee. 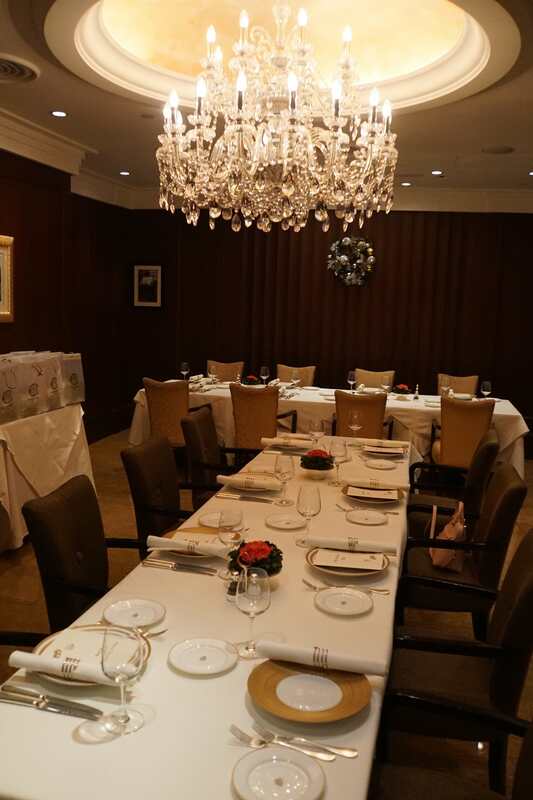 Behind lies a treasure trove of luxurious dining rooms and private party spaces. My personal favourite room reminded me of a homely sitting area, complete with a decorated Christmas tree and huge fireplace that I was assured can be lit to create a cosy, intimate atmosphere for the ultimate merry dinner party. 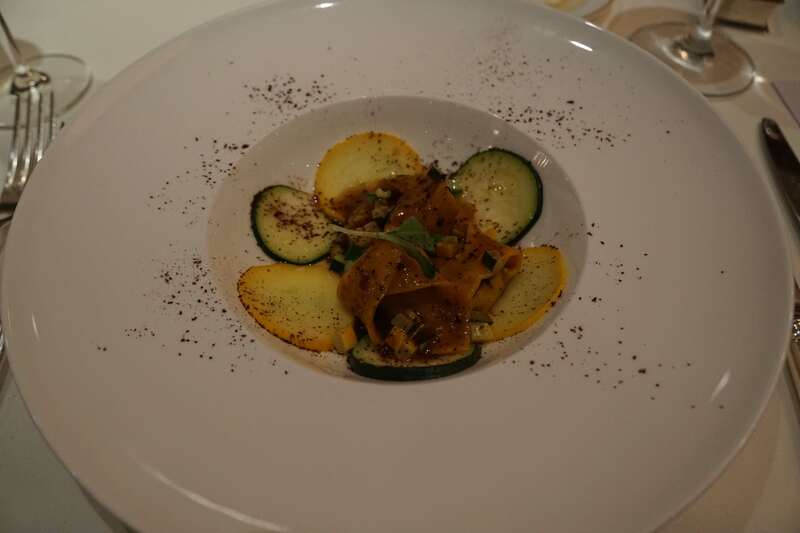 Cova manages to offer the diner fine foods coupled with home comforts with grace and ease. 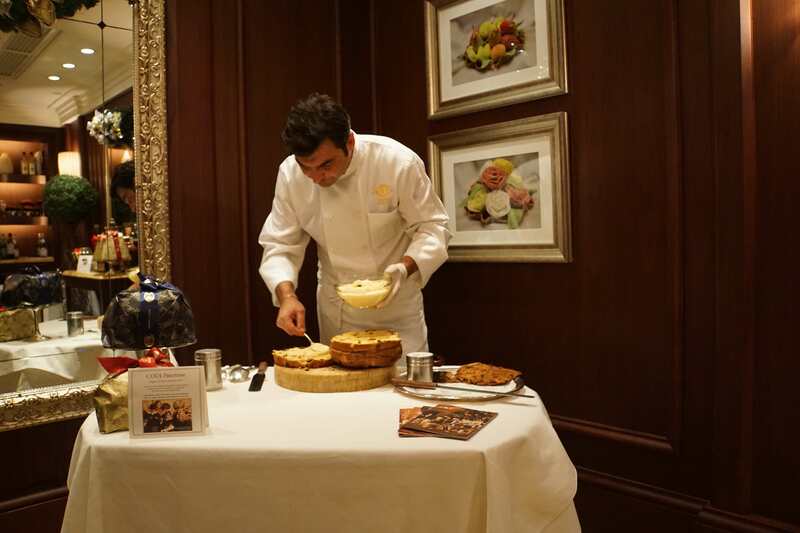 The Christmas selection is a conceptual mix of antipasti, homemade pasta and turkey with a twist, culminating in the age-old Italian masterpiece of panettone with homemade gelato. I mean, you really are a Grinch if you're not feeling the Santa Claus vibes after this. There are a number of set menus available at the various Cova locations, and I was lucky enough to sample the very best of their eclectic 2016 assortment. 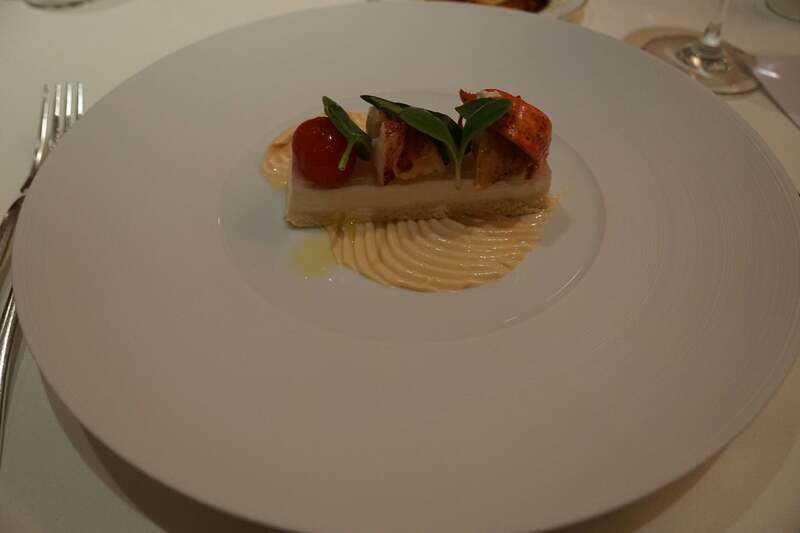 To begin, Cova offers a creamy panna cotta with subtle flavours of burrata and a tangy mayo, topped with chunky helpings of lobster. Next, you can tuck into handmade ravioli filled with oxtail, chocolate powder and seasonal truffle – hey, if you can't be decadent at Christmas, when can you? 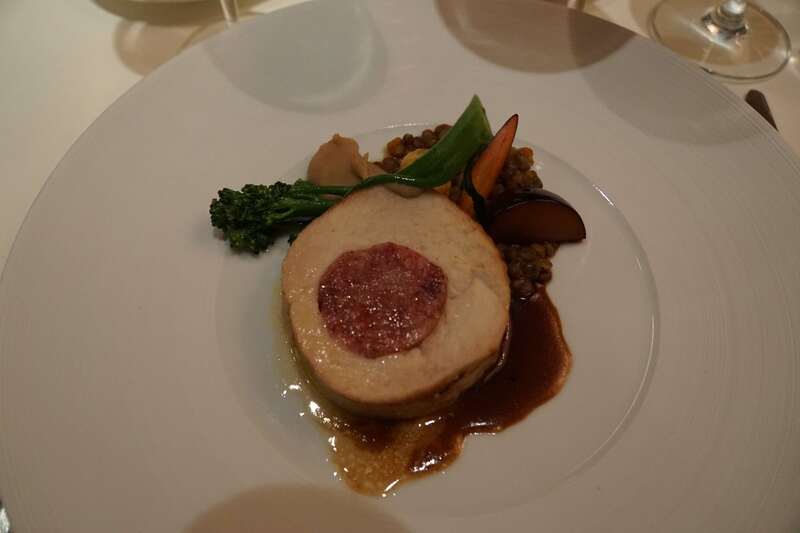 Following this was the star of the show: turkey roulade stuffed with pork sausage on a bed of lentils, creamed chestnut and a balsamic plum sauce. The turkey was tender and juicy, the pork bursting with intense flavour. It tasted like something straight out of Mama's kitchen (if your mama is a Michelin-starred chef, that is!). 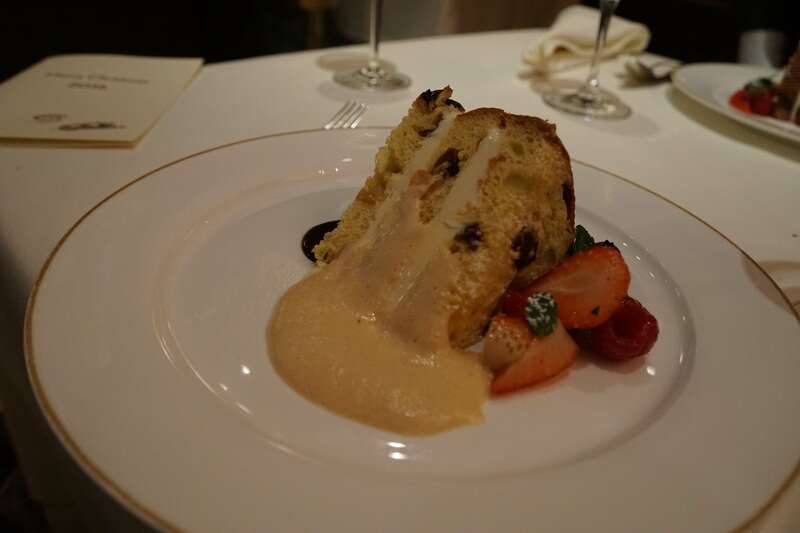 The last course was a playful concoction of the Italian classic dessert panettone, packed with layers of sweet gelato, topped with red fruits and dripping in a light custard. My local source (the fabulous F&B director, Daniele) informed me that most Italian families can get through two loaves of panettone a day over the Christmas period, and it can be enjoyed with everything from coffee to wine – now, that's my kind of pudding! Cova offers an ample choice of set lunch and dinner menus that, depending on your preferred location, start at $388 per person. 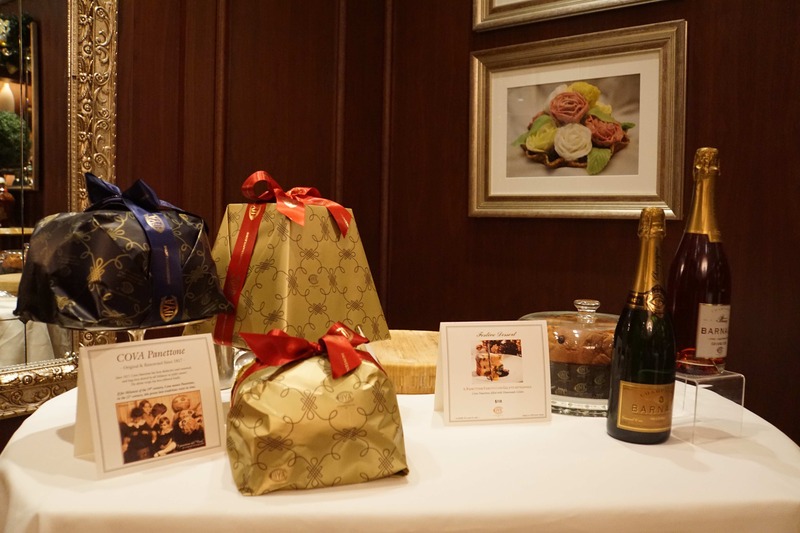 If you don't get a chance to check out Cova's Christmas extravaganza, you can order one of their custom hampers or incredible cakes to add some seasonal sparkle to your kitchen this year. Oh, and as 31 December rapidly approaches, gather some friends and family and pop along to their amazing – and relatively affordable – New Year's Eve bash for an eight-course menu, two glasses of Moet & Chandon and live entertainment – all for $1,188 per person. Now that's amore!